Which Bead Colours Work Together? Did you come up with an answer quickly? Or, did you sit there for hours trying different tubes next to one another? Maybe you ended up just going with a tried and tested colour scheme. So, what stopped you from trying something new? The bottom line is, you can sit and stare at your bead tubes all day. But it’s not until you actually try the beads in a project that you will find which bead colours work together. 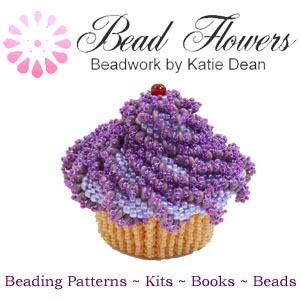 Could you have guessed that the beads in the photo at the top of this blog would make a project that looks like this? Now that can be a costly experience – certainly in time and maybe also in money. So, it’s no wonder most people just end up sticking to what the designer used! 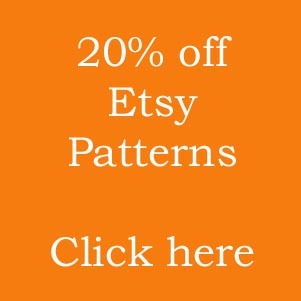 Which bead colour combinations don’t work? I don’t believe there is a colour combination that actually doesn’t work. The trick is all about how you combine the colours. So, a good colour scheme combines interest and balance. It draws the eye across the project and pleases the subconscious. It’s not about the individual colours so much as how they combine together. So, staring at your bead tubes isn’t going to give you all that information. Why would these bead colour combinations not work? 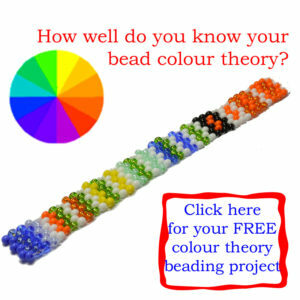 When you look at a tube of beads, you are looking at a mass of colour. 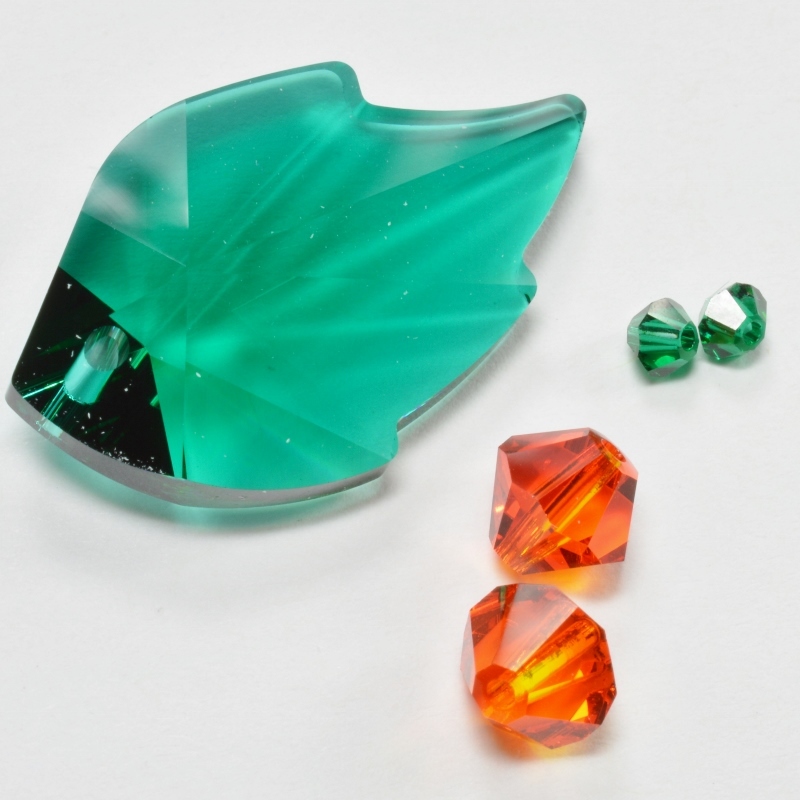 If you take out one individual bead, then the depth of colour it gives can change a lot. Then, try sitting that bead next to a different bead. What happens? You’ll see it change even more. Why? Well, the eye never picks out colours individually. It is always seeing them in context. So, the position of your bead then affects its colour. And remember, when we are talking about bead colours, the finish also plays a part. Silver-lined beads or shiny beads will always pop out of a colour scheme because they catch the light so intensely. Matte or opaque beads tend to blend into the background. So, you can use a large patch of matte beads with a few hints of shiny beads and the shiny will still pop out at you even though there are so few of them. Try this in reverse and you may become overwhelmed with ‘bling’. Or, the matte beads might just create enough contrast to calm the ‘bling’ effect to a desirable level. How do you know what will work in advance? Well, you can study colour theory so you get to grips with the idea of balance. 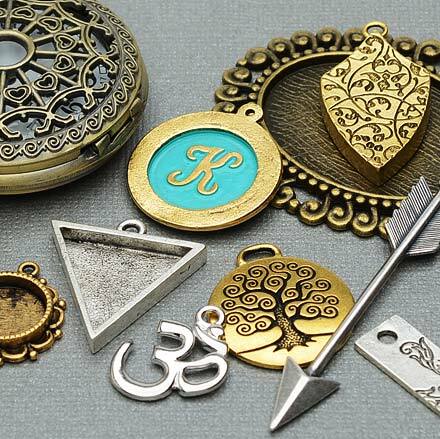 You can learn how light plays on colours and on bead finishes. Or, you can try loads of experiments and learn from your own experience. But, however much experience or knowledge you have, I guarantee you will still get surprises. That’s what keeps us all designing day in, day out. The prospect of discovering something new and exciting. The good news is, you don’t have to make your entire project to discover whether or not your chosen colours will work together. 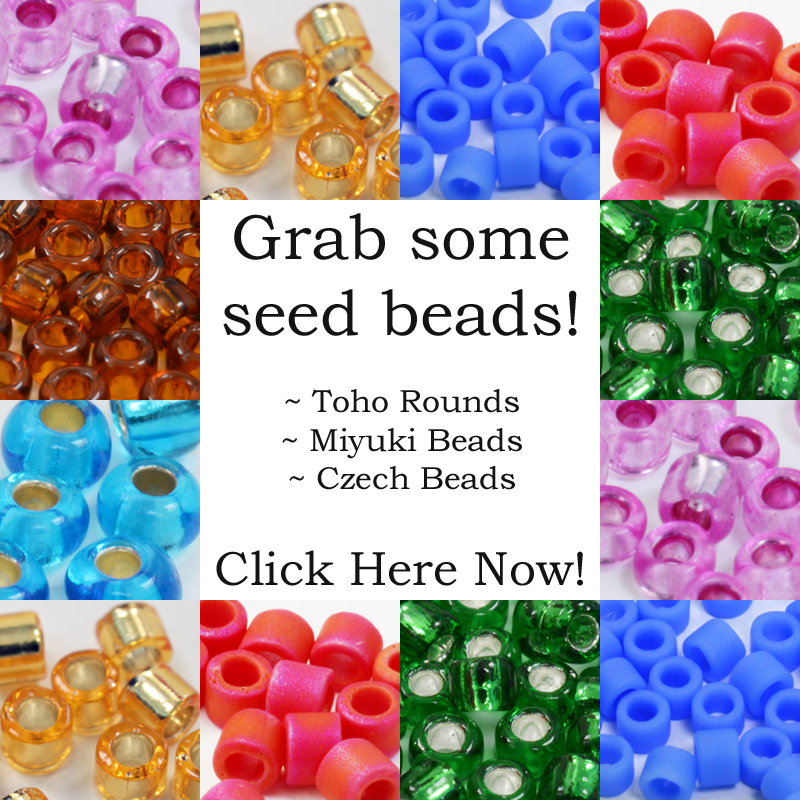 Start by choosing the bead tubes that you think might work. Now, grab your needle and thread. Use your favourite beading stitch and make a little tiny strip using your bead colours. Try mixing the colours up so that each individual colour sits next to each of the others. You can try stitching the same number of rows in each colour. Then try stitching more in one colour and less in the others. From this tiny sample, you will be able to tell immediately how your colours play together. So, you can see which colours drown each other out. Notice if any of the colours clash. This will let you determine which colour is dominant (you can afford to use less of it as it will still pop out). See which colour fades into the background against the others. (Yes, you guessed it, here is your ideal background colour). Then, if one of the colours isn’t working, you can try another. At the end of the experiment, you can either undo your beads, or keep the little strip as a reference for another project. Just make sure you make a note of which bead colours you used! So, that’s time well spent in trying a combination and making an informed choice. Even if you end up using different colours, you’ve still added to your experience bank for another project. How many beads in a gram?